Ed Westcott (1922-2019). was the official US Army photographer of the Oak Ridge, Tennessee site for the Manhattan Project. Westcott went to work for the U. S. Army Corps of Engineers in 1941. 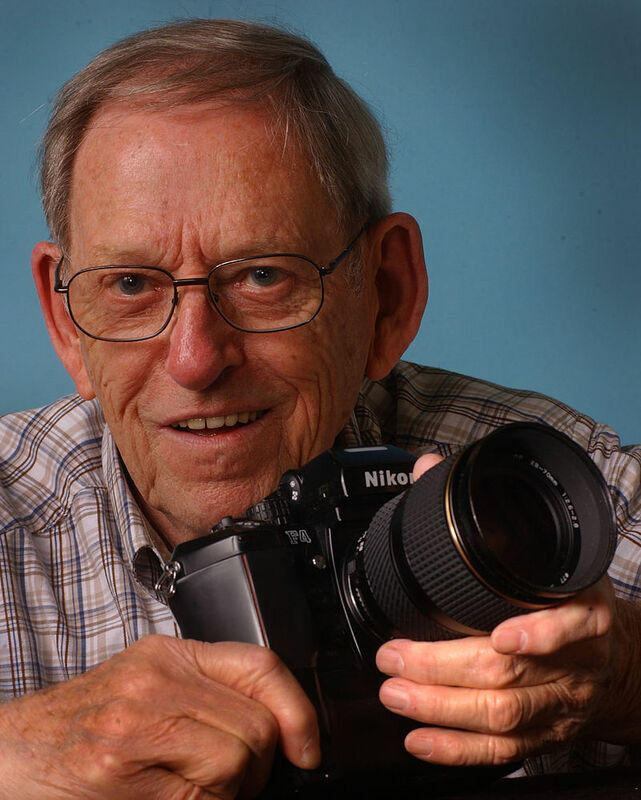 The following year he became the official government photographer of the Manhattan Engineering District (MED) in Oak Ridge. Among the first in the new secret city, Ed shot thousands of photos documenting the construction and operations, as well as the lives and times of Oak Ridgers from the beginning. Westcott shot hundreds of exposures and processed over 5,000 prints before the war even ended. The National Archives is the repository for all of Westcott's negatives and offers an extensive collection of his photos from the period. After the war, Westcott stayed in Oak Ridge as an employee of the Atomic Energy Commission (AEC), until he was transferred to AEC headquarters in 1966. Westcott retired in 1977. He passed away on March 29, 2019 at the age of 97. For an online gallery of Ed Westcott's work, click here. 1922 Born in Chattanooga, Tennessee. 1941 Began work for the US Army Corps of Engineers. 1945 Used photos to be included on press releases about the atomic project, once the bombs were dropped and the public discovered the enormous war effort.